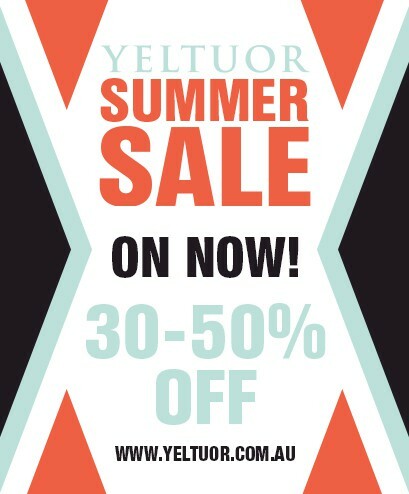 The Yeltuor Summer Sale is on now! Tasmanian owned Yeltuor carry a large range of labels for the on trend women both classic and young with an aim of being both at the front of the market and affordable. Names such as Sass & Bide, Finders Keepers, Ted Baker, All About Eve, Seduce, Jag, Wish, Verge, Metalicus, Mink Pink, Mavi Jeans, Ping Pong, Bec and Bridge, Maurie and Eve, Senso, Samantha Wills and Mela Purdie all sit effortlessly together. Shop with us in one of our 6 stores located througout Tasmania or online at www.yeltuor.com.au to take avantage.